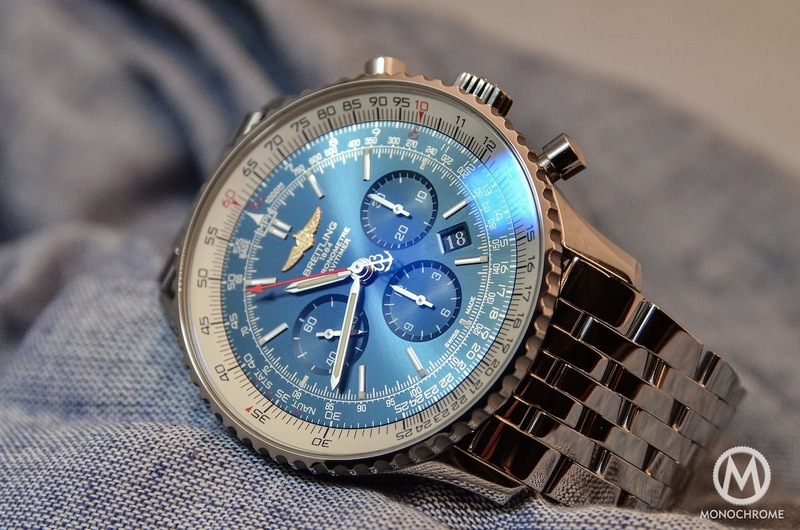 The Navitimer is Breitling’s most emblematic watch. Presented in 1952 with the reference 806 as the ultimate pilot chronograph, equipped with a very useful slide rule, it was endorsed as the official timekeeping instrument of the AOPA – the Aircraft Owners and Pilots Association. At that time, with its 42mm, it was already huge, especially when you consider that most watches were sized at 35mm. 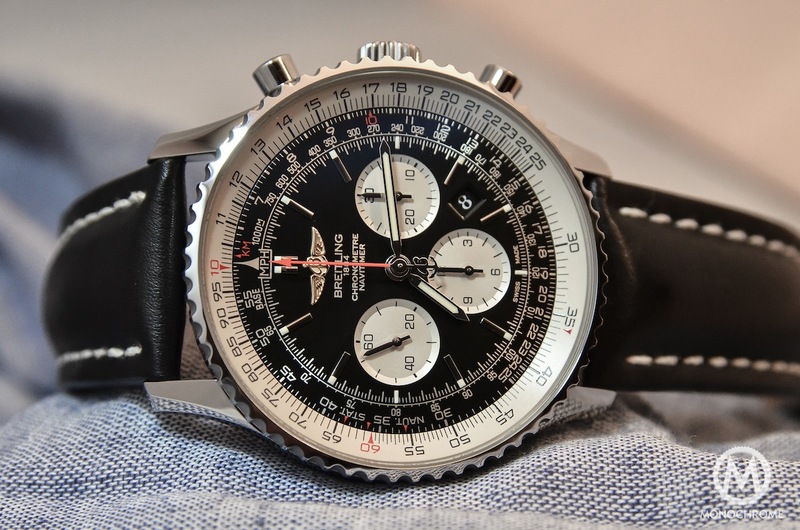 For years now, the Navitimer has shared the same spirit and design, with the same slide rule and its 3-sub-counter “panda” dial (black dial with white sub-dials). But the 43mm of the actual models are quite average now and an update was needed, just to keep the spirit of the original one: a massive 46mm or 48mm tool-watch to wear over your flight jacket. The Navitimer is one of the few watches that can really claim to be iconic. It even boasts a surprising link between an astronaut (Scott Carpenter), a French singer (Serge Gainsbourg), an American actor (John Travolta) and a French President (Nicolas Sarkozy). But the history of the model is quite chaotic. Launched in the 1950’s as an evolution of the Chronomat, it was at that time one of the largest and most practical tool watches made for use inside a plane’s cockpit. 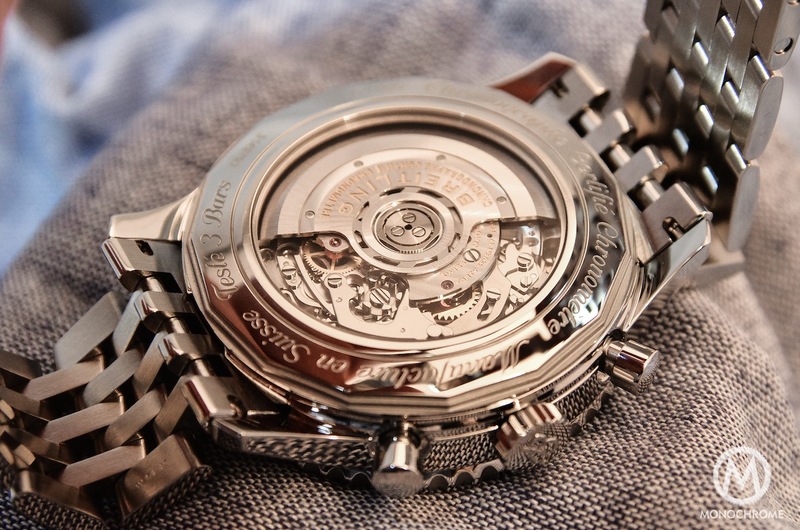 The Navitimer featured a Venus movement, meaning a manual winding chronograph calibre with a column-wheel. 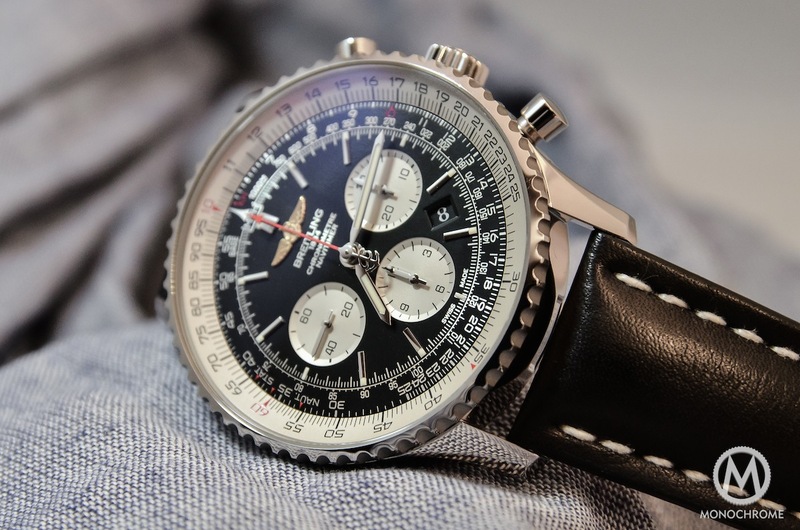 In 1969, the Navitimer took advantage of the first (well, one of the first…) and newly presented automatic chronograph(s) made by Heuer, the Calibre 11. Almost unchanged for 30 years, having undergone only a few improvements, the Navitimer has weathered the quartz crisis, as has the rest of the Breitling range. 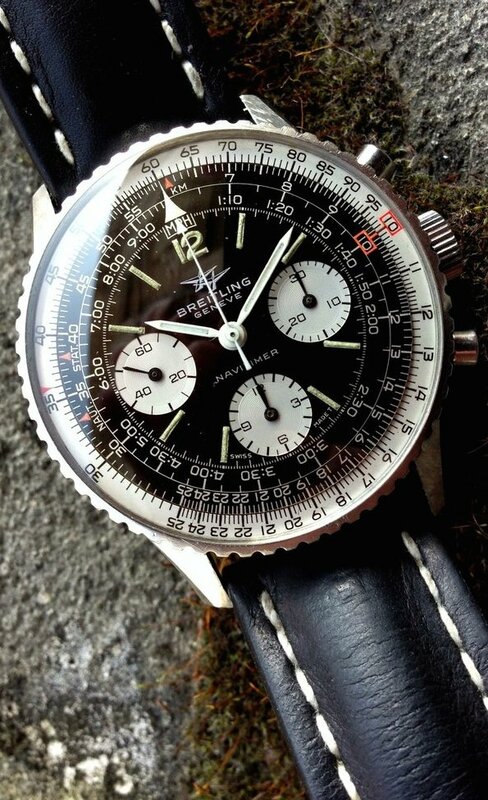 In 1979, Breitling did have to close its doors; the plans and some watches’ parts were sold, mainly to Ollech & Wajs and Sinn – that is mostly why Sinn can continue to sell a chronograph which is 99% similar to a Navitimer. 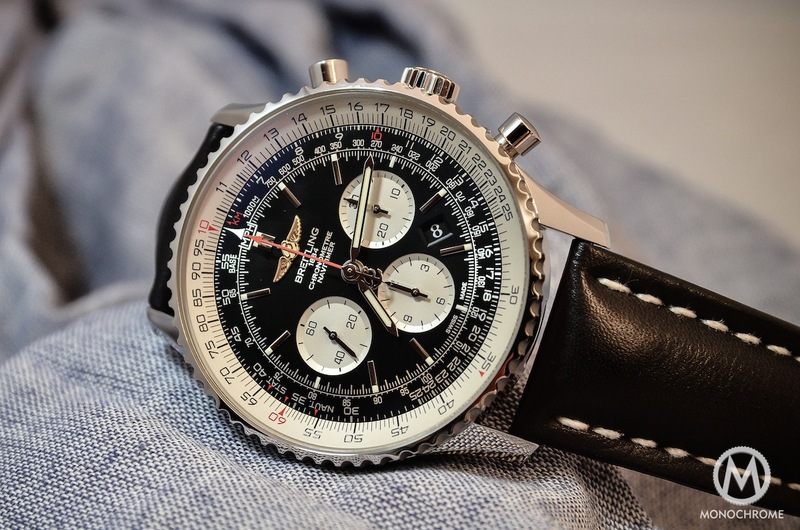 Thankfully, Breitling has been relaunched, along with the Navitimer. 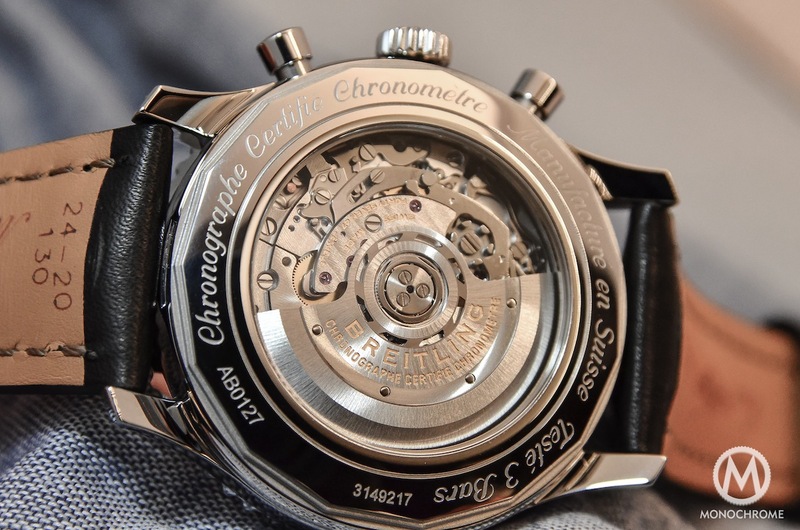 In the mid 1990’s, the design had evolved with a bigger case – but only one more millimetre, at 43mm – and the movement was exchanged for a classical Valjoux 7750. The most important, recent update was the introduction in 2009 of Breitling’s first in-house calibre, the B01, now available in the classical 43mm case and in the new 46mm or 48mm case. The attraction for big watches, meaning over 44mm-45mm for a sports watch, is not new. 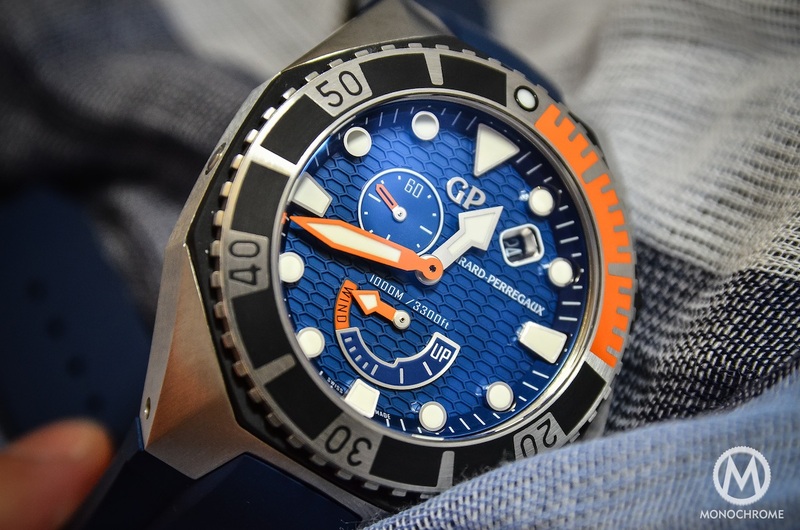 For several years now, Panerai, Hublot or classical brands such as Omega or Audemars Piguet have produced some huge chronographs and dive watches, with sometimes no historical or practical reasons. In an industry where miniaturization is key, the use of such cases is questionable. On the other hand, when it comes to pilot watches, large diameters have always been the norm. 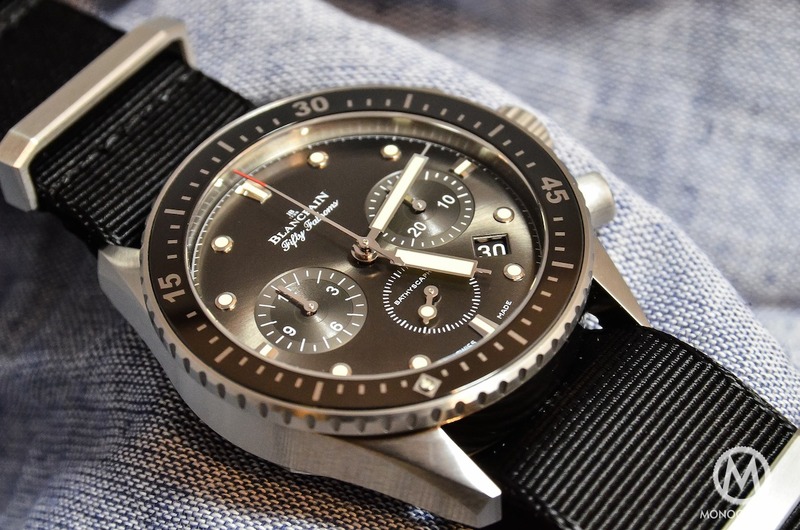 Look at the recent Zenith Type 20. 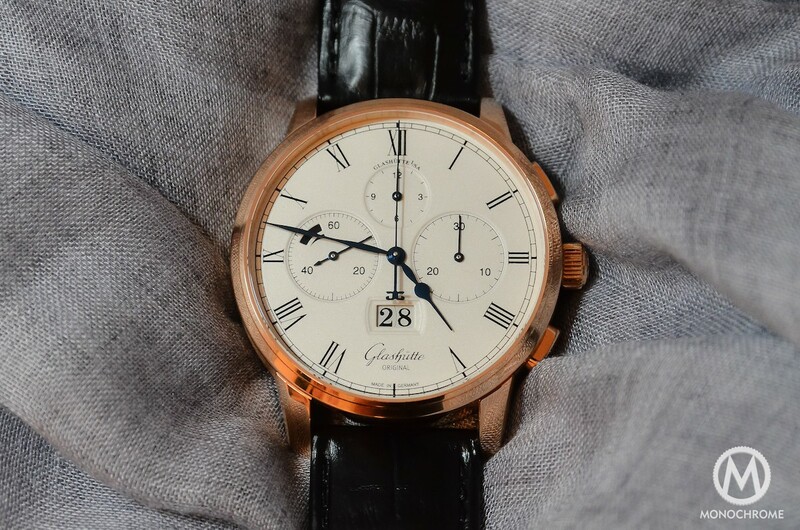 Its case measures 48mm and our contributor Max just loved it (and I can tell you, it looks great on him!) The main reason pilot watches are so big, is that they are made to be worn over a flight jacket and have always needed large dials and indexes to increase their nighttime visibility. 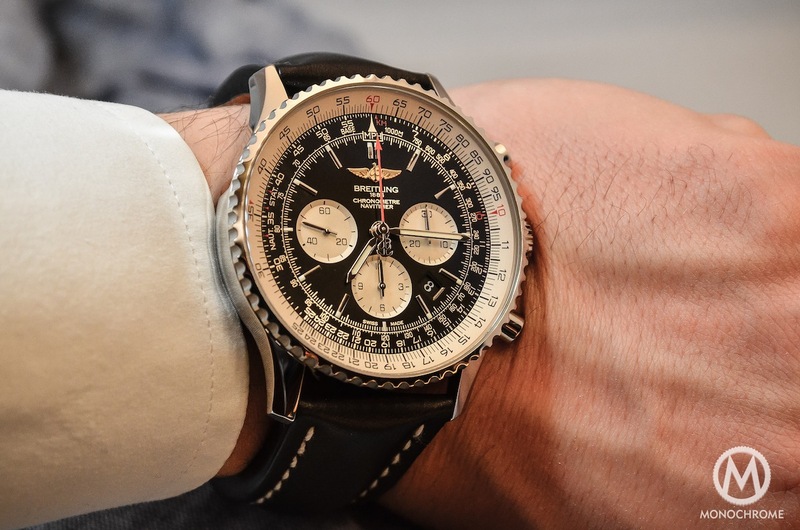 Considering a strong trend for neo-vintage watches and an increasing demand for large sizes, it was surprising that Breitling didn’t introduce a larger Navitimer earlier than Baselworld 2014 – but they are now available in 46mm and 48mm. 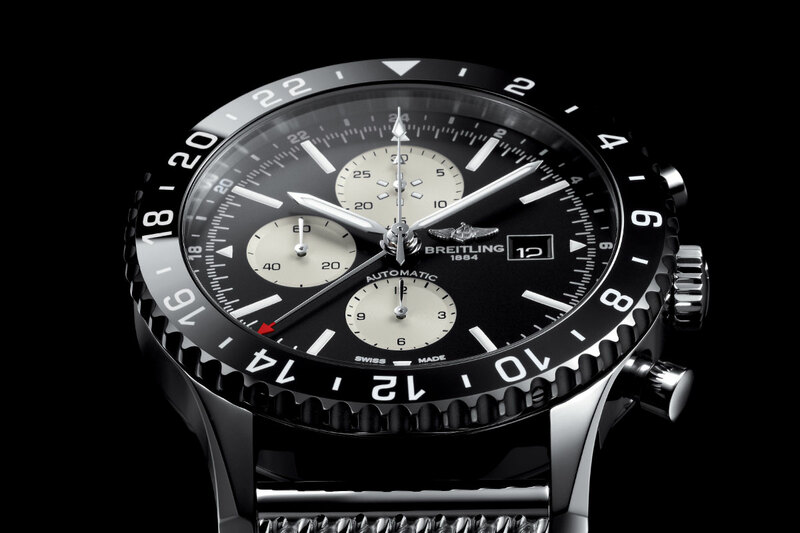 Aesthetically, the Breitling lovers won’t be shocked. Even in 46mm, this new version comes with all the features of a Navitimer. The case has to carry 4 more millimetres but with the exact same design – same faceted lugs, same notched rotating bezel, same huge opening of the dial. If you compare it with the 42mm, you’ll also find the same dial and layout. It’s just a matter of size. 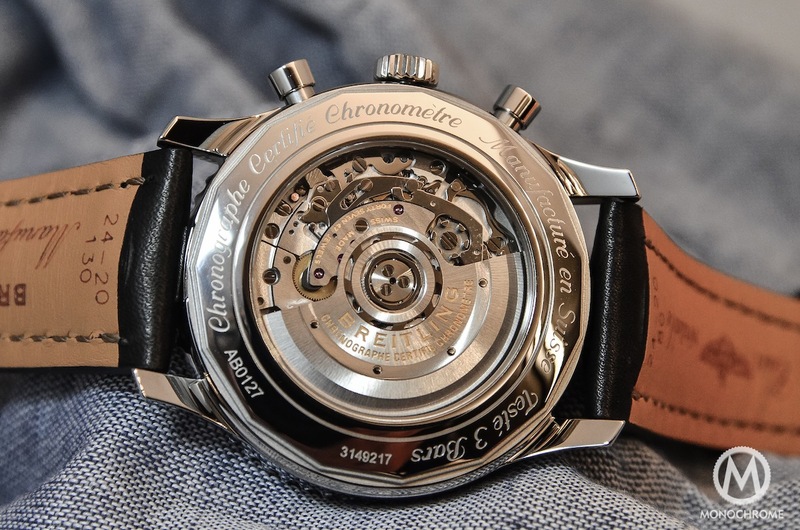 The second improvement is the see-through sapphire caseback, now a standard feature – it was previously reserved for limited editions – in order to have a view of the Calibre B01. This modern automatic chronograph movement is part of the new generation of calibres, alongside the Omega 9300 or the IWC 89361. 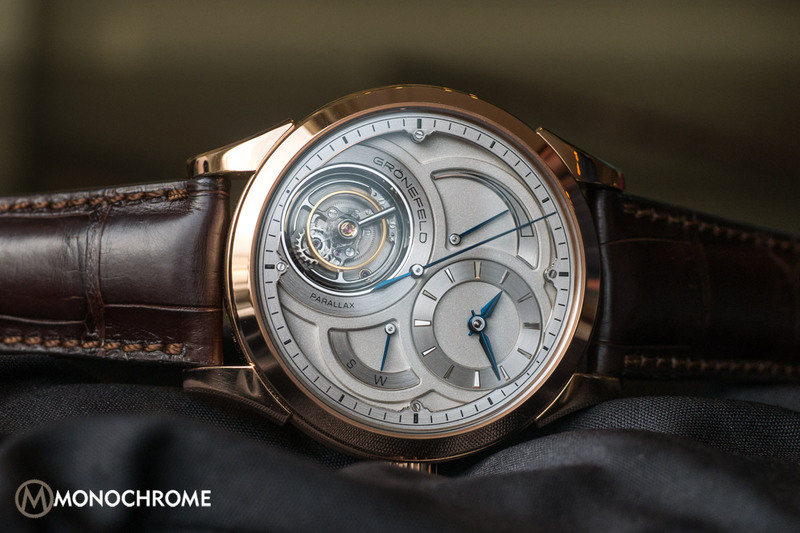 It comes in a 3-sub-dials configuration (3-6-9), with a column-wheel and vertical clutch system and 70 hours of power reserve. The Navitimer 01 46mm is available in two colors, the classical black and white dial and a full blue one. 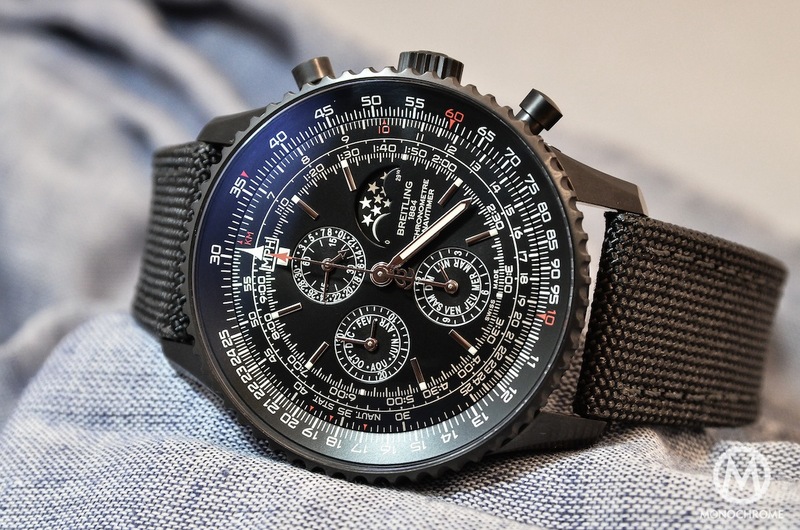 As always with Breitling, you will have an extensive choice of straps – several colors and types of leathers – and of buckles – pin buckle or folding clasp. You can also choose the very well finished (and expensive) pilot bracelet with its mirror polished finish. The other new version is the 48mm that will be available for the Navitimer 1461. This one has an annual calendar complication, based on a Valjoux 7750 that will need to be adjusted only once every 1461 days (once every four years, when there is a leap year). It comes in your choice of two styles; a polished stainless steel on alligator strap and a matte black DLC coated stainless steel case with a canvas strap. Crucial question! How does it feel on the wrist? We can’t say that it isn’t big. The difference between it and the 43mm is really noticeable. That’s a fact! On my small wrist, as you can see in the photos, it looks big but it’s not uncomfortable. I had some previous experiences with 45mm or 46mm watches that actually felt bigger than this one. For a man with a bolder wrist, it looks really good and emphasizes the pilot-watch feeling. 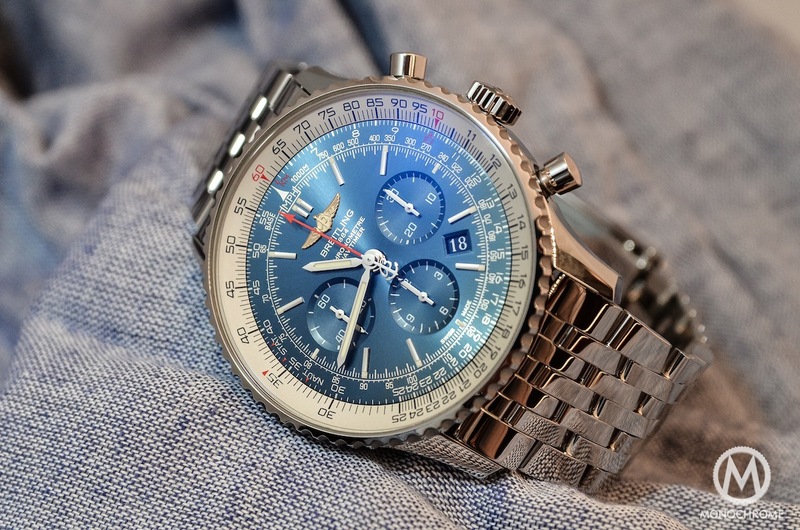 This addition to the collection is answering a real demand and we can’t blame Breitling for such a choice. I would say that it’s just a matter of taste and wrist size. Now you have the choice between a 42mm and a 46mm. The Navitimer 01 46mm is priced, whatever the color, at EUR6.870 on leather strap and EUR8.050 on bracelet. 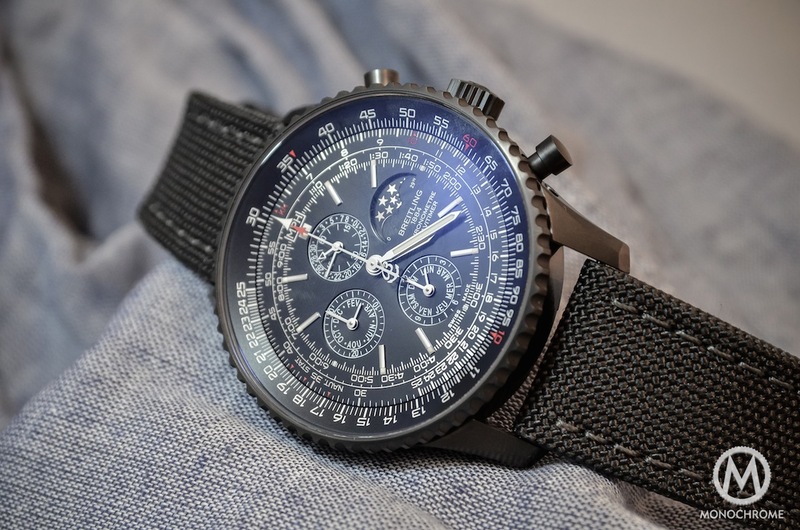 The Navitimer 1461 is priced at EUR8.810 in stainless steel and EUR9.320 in black DLC. The blue dial looks the best. Tan strap and blue face would work very well. About 1 year later I bought myself a new Omega Speedmaster Day/Date. Accuracy without problems within 4 seconds a day!